Knowing what makeup to put on, colours, and where – is as important as the brand quality. Jill Yvette can show you how even small changes can make beautiful results in a makeup lesson. If you are going somewhere special, you can have a special look to match your outfit no matter what age you are. Colour matching foundation or other products, followed with a micro lesson in best application is available. Jane Iredale mineral makeup has something to solve most problems e.g. shadows, lines, blockages, oiliness, spot concealing, ageing. It can be a natural finish, or something more special and dramatic for evening. The choice is yours. 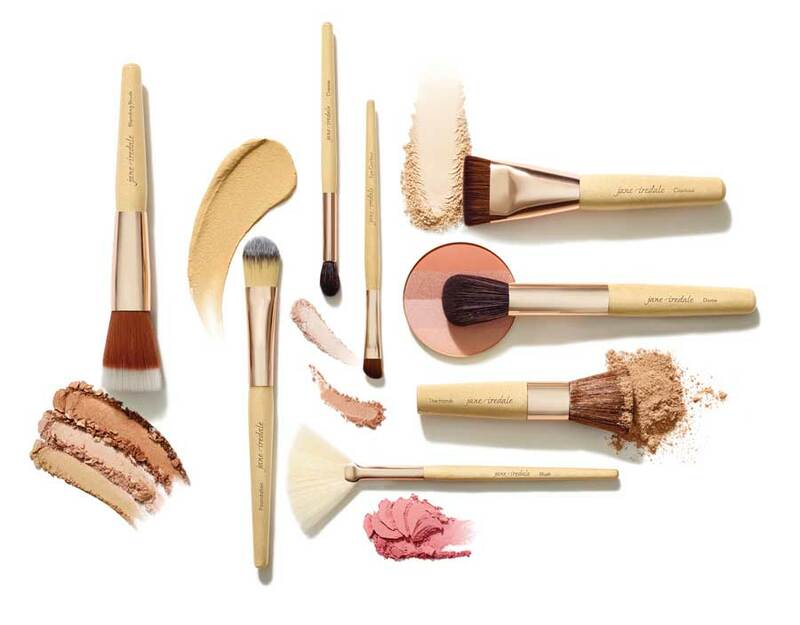 Jane Iredale makeup is the original pure natural mineral-based products. Sun protection, purity, and awarded recognition for suitability for skin cancer protection. This multi award winning range is loved by many celebrities, and great for the most sensitive of skins – and even soothing the skin whilst wearing it!